I’m taking my first British getaway this weekend – a climbing trip in Cornwall via Southampton – and I’m really excited to see some more of England, eat some pasties, and add to my very modest repertoire of outdoor climbing experience. After ten days of absolutely gorgeous weather, I’m thinking about summer adventures, and I checked out two books from the library to get ready. 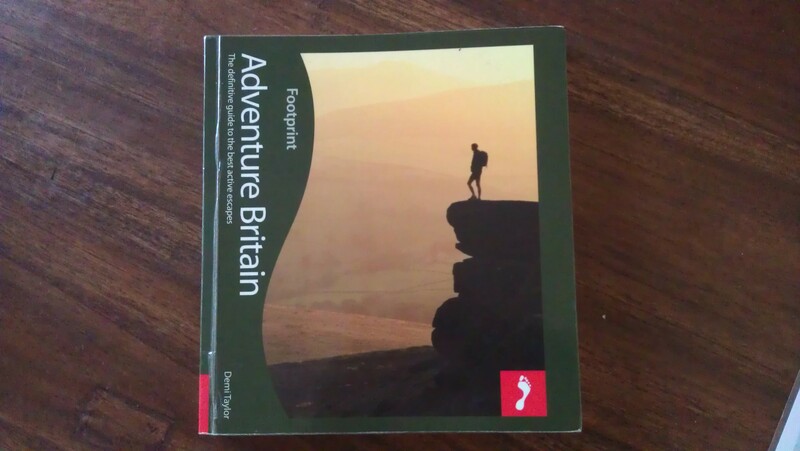 The first book, Adventure Britain, gives a summary of various adventures opportunities by region. 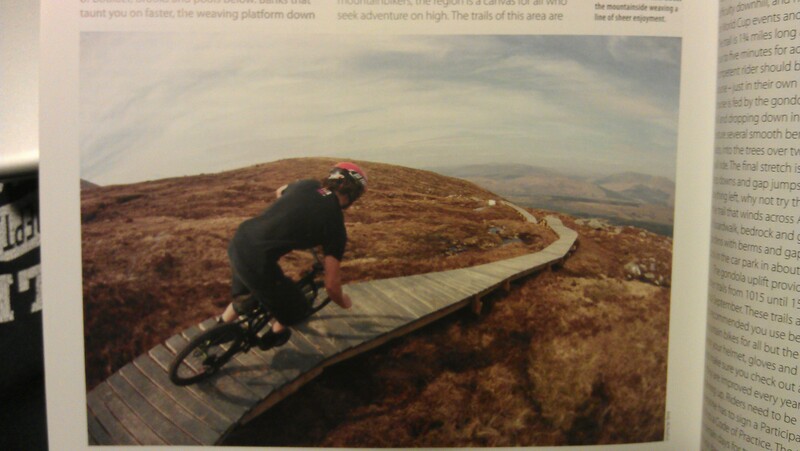 It lists hiking (“walking” in UK parlance), climbing, surfing, and mountain biking, which are fairly obvious activities to include. It also lists parasailing (yes please) and wild swimming (really? that doesn’t seem that adventurous) and coasteering, which I’d never heard of but is basically cliff jumping and floating around in the ocean. I was surprised that it didn’t include sailing or windsurfing. It also had a couple opportunities for foraging, but didn’t include birdwatching, cross-country skiing, or any of a variety of other adventures I haven’t thought of. Each activity listed is presented very cogently and comprehensively, with resources for more info plus nearby hotels and restaurants, and there are a whole lots of activities covered in the book (stand up paddle boarding, whitewater rafting, and paragliding, among others). My biggest complaint, though, was the lack of maps. 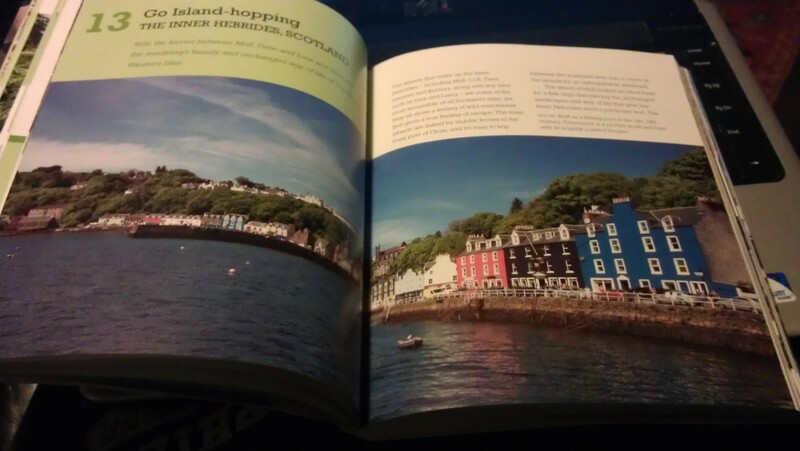 There was not a single sodding map in the entire sodding book. My biggest frustration with being in a new country is that I don’t have a mental map, and I hoped the book would help. But no map! 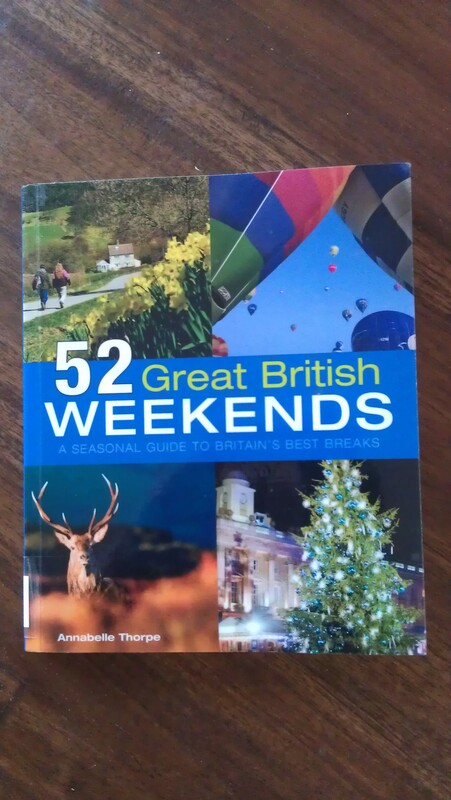 The next book, 52 Great British Weekends, takes a more sedate approach to adventure, but neatly breaks the weekends up seasonally. Each season has a variety of activities – from walking to serious eating to amusement parks – and covers a variety of regions. I learned some things about the country that I hadn’t known. I now really want to go to the Hebrides, for example, and I learned that I live near some really great birdwatching. But as with the previous book, it was seriously short of maps. As in, there weren’t any. I really wish they’d thought to include some, but instead I read both books and then had to spend some time googling to figure out where everything was. That being said, I’ve included some mobile-phone pictures of the books below; both made me really excited to be in England and to have all this new stuff to explore. Hebrides: I want to go to there. **Note: I’ve started a new series of Fantasy Holiday posts. You can see them all by clicking the Category to the left. Wheee!